Fiat is starring at one of the most important international film festivals, to be held in Turin’s cinemas from 23 November to 1 December. Held for the 36th time this year, the Turin Film Festival features art-house films, themed sections and experimental works, confirming its unique ability to successfully combine tradition and innovation and be at ease in widely different topics and languages. 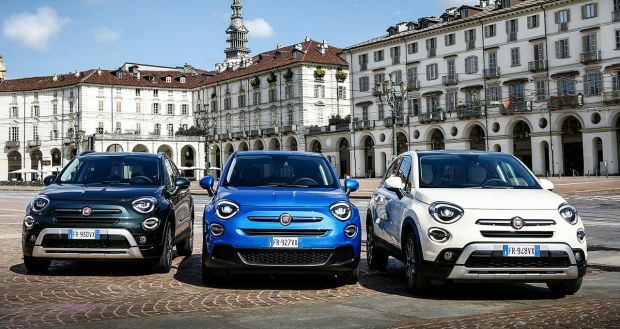 For the actors, directors and guests attending the Festival, Fiat is providing a fleet of 500X and 500L cars, the models recently updated to maintain their positions as stars of their respective segments. For the new 500X, the return to the heart of Turin is highly significant. Just a few weeks ago, the Fiat crossover’s international press launch was held here, at one of Italy’s most iconic locations: Turin’s National Museum of Cinema, housed in the Mole Antonelliana, which has soared above the Piedmont capital for more than a century. There is an unbreakable bond that has united Turin, the Fiat brand and the finest film tradition since the early 20th Century. Various Fiat cars have been “cast” by famous directors over the years with an amazing continuity, proving the status of Fiat automobiles as a genuine national heritage, reaching far beyond the boundaries of the automotive world itself. In 1957, for example, Fellini chose the 1100 B and the 600 Trasformabile for “Nights of Cabiria”, and almost fifty years later the 500X itself took part in Ben Stiller’s blockbuster “Zoolander 2″.And who could forget the many places in the city of Turin used as the sets of fantastic films? For example, piazza Castello featured in “Hannah and her Sisters” by Woody Allen, while piazza CLN provided the backdrop for Dario Argento’s nightmarish scenes. The more than 1,500 films, including documentaries and advertising videos, produced by Fiat from 1911 to the present are also of great artistic value. The latest chapter in Fiat’s partnership with film is the delightful short movie “Fiat 500X – A taste of tomorrow. Today” inspired by the ’80s cult film “Back to the Future”, which not only used original storytelling to pay homage to the great film tradition but has also been very successful on the web: it has recorded more than 42 million viewings on Fiat’s social media channels, FCA’s best ever result. Significantly, the short film dedicated to the new 500X carries on the strategy begun in 2017 with the “See you in the future” tribute video, which celebrated the iconic 500’s 60th birthday and stared Oscar-winner Adrien Brody. So while film offers accessible dreams in a medium which belongs to both the past and the future, in the same way the Fiat 500 family, now completed by the new 500X and 500L, confirms its status as an amazing “time machine”, successfully conserving the stylistic features of its illustrious ancestor while offering new technologies “borrowed” from the future. A dream car created by a film-maker’s imagination? No: a reality, ready to travel roads right across Europe, in the form of the new 500X. For example, for the first time in the Fiat range, the updated Italian crossoversfeature the new FireFly Turbo 1.0 and FireFly Turbo 1.3 engines, yet another technological record for the Group with regard to powerplant design. Just like their namesake, the new FireFly engines are the most compact and cleanest power source available on Fiat cars. And the new 500X is not only the most high-tech Fiat model of all time, but also the one which offersthe very best in driving safety and assistance, with “Traffic Sign Recognition”,. “Speed Advisor” and “Lane Assist” as standard on all versions. What’s more, it offers an all-new range with two bodies and three trim levels – Urban, City Cross and Cross.